Explainer: what are middle ear infections and how are they treated? It's an all-too-common childhood illness but if left untreated (and if recurring), middle ear infections could lead to developmental delays. Here's how you can spot the painful condition and what to do about it. Middle ear infections (otitis media) are a common and often painful condition that most children will experience at least once in their first year. 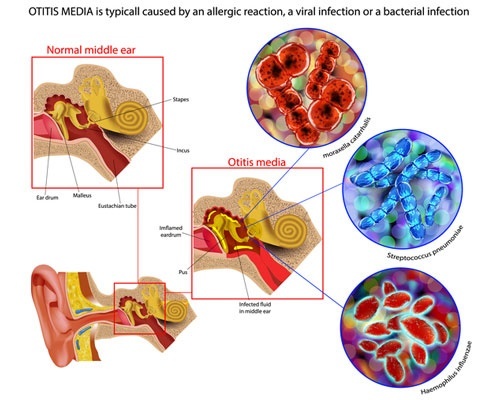 The infection takes hold when a bacteria or virus invades the middle ear. 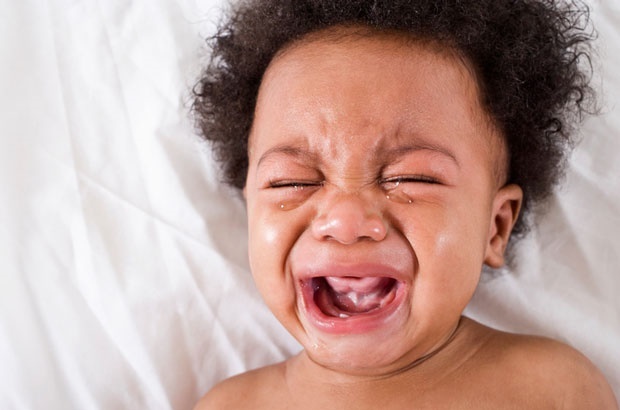 Babies aged six to 12 months are particularly susceptible because their immune systems have yet to develop the ability to mount a defence against the offending bugs. Babies’ Eustachian tubes – which drain fluid from the middle ear and the throat – are also not fully developed. This allows bacteria to build up rather than be removed from the ear. With treatment and monitoring, most children will recover quickly. But for some, ear infections will become a persistent problem. It can be difficult to know if your child is suffering an ear infection. Common signs are pulling at their ears, irritability, fever and lack of appetite. Older children may complain that their ears are sore but it can be difficult to detect in younger children. Ear infections often occur along with a cold, so children may also have a cough, runny nose or sore throat. If your child is in a significant amount of pain, get their ears checked by your GP. The doctor will recommend some pain relief and ask you to monitor the condition at home for around 48 hours, by which time most acute ear infections have subsided. If your child suffers repeated ear infections (more than three within six months, or more than four in a year) the doctor is likely to refer you to an ear, nose and throat (ENT) specialist. If there is runny fluid or pus coming from their ear, it’s important to seek treatment as soon as possible, even if that means going to the emergency department. Usually the pus will be removed, the ear cleaned out, and antibiotic drops prescribed. Follow-up assessments with audiologists (allied health hearing specialists) and ENT doctors will be arranged to check their hearing and if the ear drum has healed. Some types of ear infections are asymptomatic, meaning there is no pain or discomfort, but the child may have problems hearing. If left untreated, ear infections can cause developmental delays. So, if you are concerned about your child’s ears or hearing, even if there is no obvious sign of infection, it is important to get their ears checked. Our study found that more than one quarter of children have had recurring middle ear infections by the time they are three years of age. Having recurring ear infections in infancy dramatically increases the risk of having ongoing problems with ear infections throughout childhood. Read more: My child has glue ear – what do I do? This can cause hearing loss and impact on school readiness, performance in class, mental health and overall quality of life. Hearing loss as a result of ear infections can also persist into adulthood. The effects get worse with age and hearing declines at a faster rate than those without recurrent ear infections. Also see: Goodbye to ear infections? Keeping children’s vaccinations up-to-date is important for reducing the risk of ear infections and many other diseases. The introduction of the PCV-13 pneumococcal vaccine for all children at two, four and six months of age has resulted in a dramatic reduction in middle ear infections. For those who are able to, breastfeeding is another way. Breast milk contains antibodies to some of the bacteria that cause ear infections. Exclusive breastfeeding for more than four months has been found to decrease the risk of ear infections. Focusing on wiping runny noses and washing hands (after going to the toilet, before eating, after changing nappies, and after wiping noses) can reduce the spread of infections. Parents and carers can also teach these good hygiene practices to children. Good infection control practices are especially important for young children with older siblings, those who live in overcrowded living conditions, and for those who attend childcare centres, where the risk of ear infections is higher. Parents should keep children with active ear infections away from other children, including from school and childcare centres, as much as possible until they are well. If you’re unsure whether your child has an ear infection, or if it has returned, talk to your GP so it can be identified and treated early. Brad Farrant, Adjunct Research Fellow in Early Childhood Development, University of Western Australia and Chris Brennan-Jones, NHMRC Health Professional Research Fellow, Telethon Kids Institute, University of Western Australia. This article was originally published on The Conversation. Read the original article. Have you had to deal middle ear infections with your baby? Were they recurring? What kind of treatment did your baby need? Tell us your story emailing to chatback@parent24.com and we could publish your letter. Do let us know if you'd like to stay anonymous. Is it really an ear infection?